While he’s never been an A-list star, Mandy Patinkin has remained a beloved actor for cult fans who have ever seen his work. He’s been a prominent part of Homeland for the past seven years, and those who have seen Criminal Minds will fondly remember him. He was also recently in the film Wonder. But for certain the movie that everyone and their mother fondly remember him from was The Princess Bride in which he played the lovable, sword-flipping Spaniard Inigo Montoya. Hollywood has finally recognized the man’s vast talent, as the Hollywood Chamber of Commerce has honored him with his very own star on the Hollywood Walk of Fame. His star was number 2,629 and was placed right outside the Pantages Theatre. Film and television aren’t the only accolades Patinkin has, as he’s also starred in numerous Broadway shows such as Evita, The Wild Party, Sunday in the Park With George, and The Secret Garden. 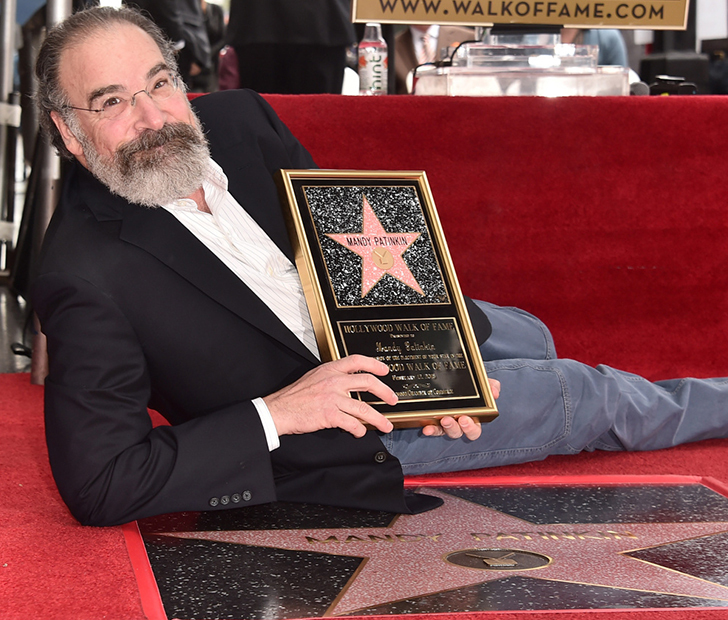 SHARE this article if you’re glad Mandy Patinkin has his own star!